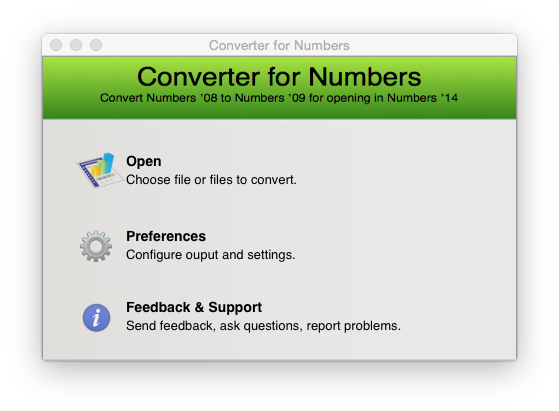 “Converter for Numbers” is an App that allows you to quickly and easily convert Numbers 1.x (iWork 2008) files to Numbers 2.x (iWork 2009) You can then open your old Numbers documents in the latest version of Numbers or iWork. If you try to open a important spreadsheet, maybe some personal finance calculations or a business spreadsheet you will get the error “This spreadsheet can’t be opened because it is too old” error. Banish this warning with Numbers Converter. If you do not have “Converter for Numbers” you will need to install iWork ’09 first. This App will save you time and money. 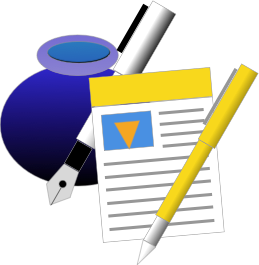 This useful and easy to use utility stops you having to buy or install iWork ’09 just for this simple task. It will also batch migrate of files from Numbers 08 to Numbers 09. 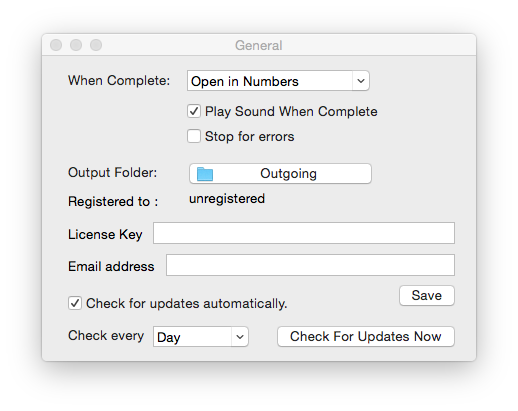 If you do not have Numbers ’09 on Mavericks (OS X 10.9) or Yosemite (OS X 10.10) then you will be stuck. Or perhaps you have the install media for Numbers ’09 but no CD Drive in your Mac anymore…? You can only solve this problem by spending lots of money on hardware and software you don’t really need. If you have an old Mac with Numbers ’09 you would have to spend time dusting it off and getting it to work again. Or you could just use this converter. Fast and quick, and your problem is over in seconds. Batch conversion of Numbers 08 to Numbers 09. Please note, you will need to purchase a license to use Numbers Converter. 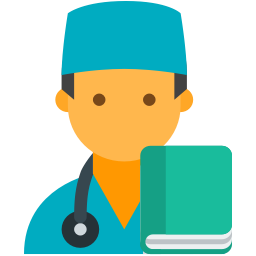 You can download Converter for Numbers, but you will need to register before you can convert your presentations. Enter your address to download Converter for Numbers. However, you will need to buy a license to use this App.